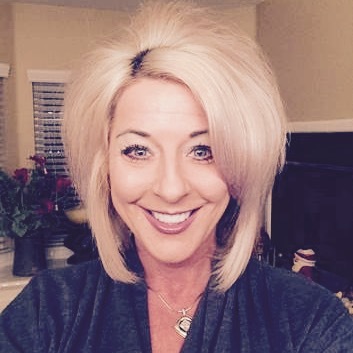 ST. GEORGE — The board of directors and policy council of The Learning Center for Families is pleased to announce that Suzanne Leonelli, of Centerville, has accepted the position of executive director and will begin work Sept. 1. Leonelli will replace the current executive director, Debbie Justice, who founded TLC in 1993 and will retire Sept. 28. Justice said she was thrilled with the selection of Leonelli, who was formerly with the Utah Department of Health’s Office of Home Visiting, as her replacement. Our process for finding a new director involved several months of meetings with our Succession Planning Committee, face-to-face and Skype interviews with many qualified candidates nationally and across the state and then bringing our final candidates in for a lunch meeting with our 60+ staff members. While we are sad to lose Debbie to a well-deserved retirement, we are confident that Suzanne is the right fit for this organization that is near and dear to so many families in our community. Leonelli brings over 17 years of experience to the position, having worked for both nonprofit and governmental agencies. Most recently, she worked as a program coordinator for the Utah Department of Health’s Office of Home Visiting, directly overseeing a $12 million budget for the “Maternal, Infant and Early Childhood Home Visiting” federal grant. Her duties involved monitoring contracts, state data collection and providing leadership to a 32-member council and four committees. Prior to her position with OHV, Leonelli served as executive director for Prevent Child Abuse Utah, located in Ogden, where she led a 26-member board of directors and oversaw a $1.2 million budget and investment portfolio of $800,000. There, she served as an advocate for policy and practice changes at both the legislative and judicial levels on behalf of Utah children and families and led the board in implementing its strategic plan. From 2007 to 2011, Leonelli worked as a vice president for Big Brothers Big Sisters of Utah in Salt Lake City, where her responsibilities in creating a strong performance-based culture contributed to national recognition as a “Gold Standard” agency. Leonelli holds a master’s in administration, counseling and educational studies and a bachelor’s in political science from Fort Hays State University. She is also a graduate of the Nonprofit Academy of Excellence, Leadership and Management from the University of Utah. She has two daughters, ages 14 and 10, and enjoys golf, hiking, biking and playing racquetball. Justice co-founded The Learning Center for Families in 1993 and has grown the agency from one location to four, three employees to 65, and has grown the agency’s budget thirtyfold over the past 22 years. She secured multiple state, federal and private grants over the years for early childhood programs; started the first Kindermusik program in St. George; and coordinated the building and funding of TLC’s St. George facility in 2011. In 2015, Justice led the way for TLC to receive the St. George Chamber of Commerce “Community of Compassion — Nonprofit of the Year” award and was recently awarded the “Champion for Young Children” award from the Arizona First Things First program for her work serving families along the desolate Arizona Strip. Debbie is bilingual (Spanish) and is the mother of two children, one of whom has special needs. The public is invited to Justice’s retirement open house, to be held at The Learning Center for Families, 2044 Mesa Palms Drive in St. George, on Sept. 28 from 2-5 p.m. Since 1993, The Learning Center for Families, a 501(c)(3) nonprofit organization, has been dedicated to its mission of “Promoting the Success of Children One Family at a Time.” TLC has family centers located in St. George, Hurricane, Beaver Dam, Arizona, and Colorado City, Arizona. TLC has a staff of over 60 employees, including special education consultants, occupational and physical therapists, nurses, speech therapists, registered dietitians, licensed clinical social workers and Kindermusik instructors. TLC provides home visiting services throughout Washington County and the Arizona Strip to more than 500 pregnant women and families with vulnerable children each week. Early Head Start — Serving low-income pregnant women and families with children ages birth to 3 by providing comprehensive services that promote the physical, cognitive, social and emotional growth of infants and toddlers while assisting parents in achieving greater self-sufficiency. Early Intervention — Serving families with children ages birth to 3 who are showing any kind of developmental delay or who have conditions such as Down syndrome, cerebral palsy or autism. When: Sept. 28, 2-5 p.m.